Live Music: Thursday, Friday, and Saturday evenings from 7-10pm. Live Music outdoors on Sundays, 12-4pm (June, July, & August). Join us for our very popular Tap Takeover & Beer Dinner, this time with Biddeford’s own Banded Brewing Co. Start the night right with a few welcome brews and bites in the Bar from 5pm to 6:30pm; then head into the restaurant for a four-course dinner, paired with 4 of Banded Brewing Co.’s most popular beers. *21+ only. Proper ID is required at door. 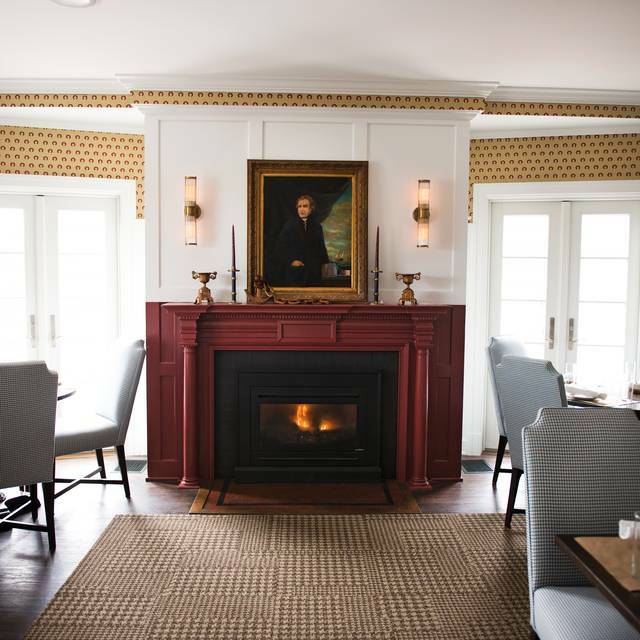 The Burleigh at the Kennebunkport Inn has long been a favored destination for locals and visitors. 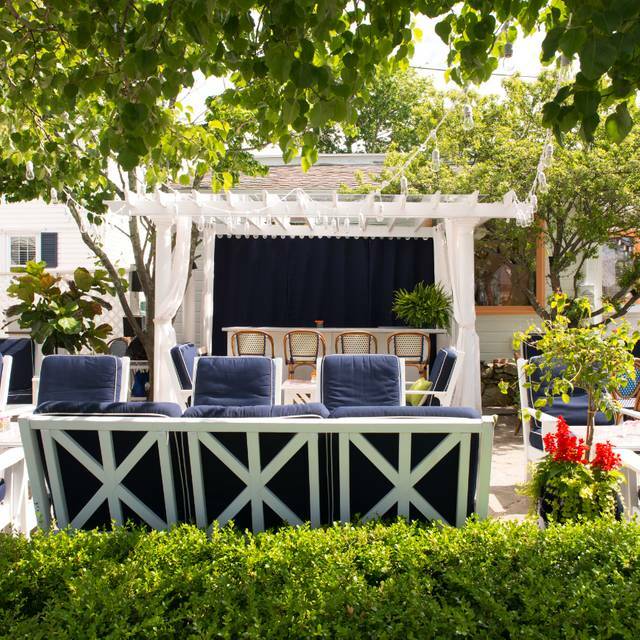 With its casually hip ambiance, expansive bar, spacious outdoor deck, and cozy fireplaces, The Burleigh is one of Kennebunkport’s premier spots for creative cuisine and excellent cocktails. Through March 31, the expansive deck has been transformed into a winter wonderland – complete with igloos decked out in plush fur, cozy throw blankets and abundance of twinkling lights and candles with the 360° views of the sparkling stars above and sip cocktails. Sat at the bar for happy hour and enjoyed some awesome food and drinks for a reasonable price! After opting to dine at the bar, the post appetizer flow of our dinner was interrupted by a jolt of orders for Margarita Specials from 'The Igloos'. Watching the team at The Inn resolve the crisis...and the immediate kindly attention and explanation from our bar tender, Gabby, smoothed the way to a memorable dining experience. The meal was as good as meals get. The evening was further seamlessly enhanced by piano music, well played and good company at the bar. When we thought that things couldn't be improved upon, Cameron saw to our 'after dinner' cordial in an igloo. Kindly, gracious staff, great food, friendly clientele. We look forward to our next visit in a few months. Everything at The Burleigh was wonderful . The food was not prepared as typically found in restaurants . Had the fettuccine with lobster - the sauce was delicious , lobster tender and served piping hot . The skate ,not something you often find on a menu was cooked to perfection . Eric our server was friendly , attentive (without being annoying!) and extremely knowledgeable . We were hoping to return before leaving the area - wish we had ! Best meal in KPT. We got reservations last minute to The Burleigh and we were not disappointed! We had a table in the bar area, which was a little noisy, but a young guitarist was playing and he was amazing. The menu wasn't huge but food was fresh and delicious. Waitstaff and host very pleasant. We were only disappointed with didn't know to get there a bit earlier to take advantage of the outdoor igloo seating! We will return. 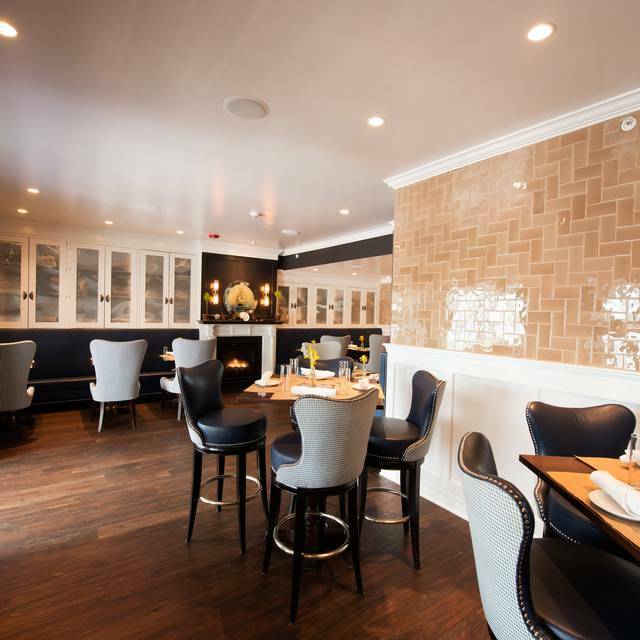 We’ve always enjoyed dining at the Burleigh and it nice to come back after a few years. Charming architecture. Unfortunately, they had outdoor seating in heated “igloos”, and every time a server or customer went outside, cold air rushed in. Several times, the exterior door was left open. I got up and shut the door myself after it was left open for a few minutes. Menu is not descriptive, so we had to ask lots of questions. No vegetable accompanied the entree. Dessert menu was a bit strange. The food we had was good. Start to finish - fantastic! Everyone behind the bar was friendly and efficient - best cosmo ever! 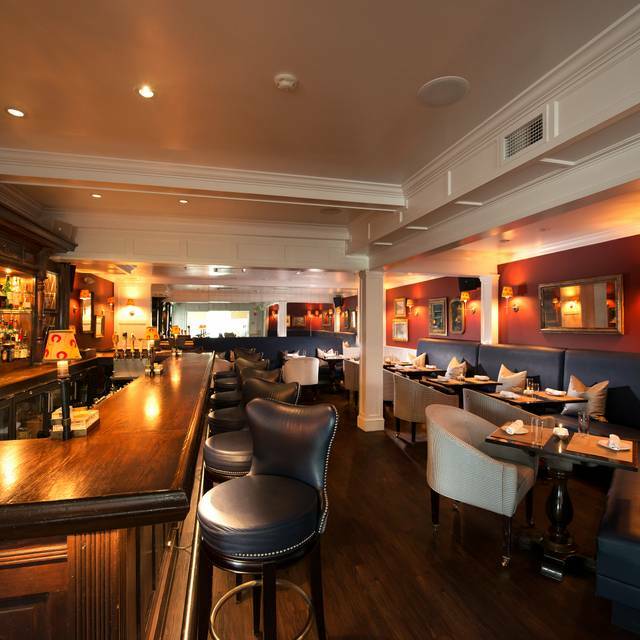 Great food, great service and a beautiful room - gorgeous bar and decor. The evening started off with some issues - noisy table near by, got very busy and not enough staff, bar service was slow, food order not right - evening ended fine. We moved tables, the waiter was very apologetic about all of the issues and gave us some reduced rates based on the issues we had. We took my mother in law out for her birthday. Had a lovely meal here. The dining room is quiet and small, menu was great - interesting options. Will definitely go back. Service was excellent! Food was very good. We were seated in the bar area near the live musician which I first thought would be loud, but was not at all. Bo was great - husband and I had fun with the family. As a KPort local I walk to the Burleigh and find it to be consistently good and a step up from your usual town restaurant. The menu is well executed and while not extensive I always find 3 or 4 items we enjoy. Nicely laid out dining room and a good bar area for adults. Great service too. Very nice restaurant, loved the ambiance, but the food was just ok. Allisson’s (down the street) has better food. We come to Kport Inn often in the Winter-love the staff and the atmosphere. My husband and I went to The Burleigh on Sunday night. We had an awesome meal and the restaurant was beautiful. Definitely recommend. Very disappointing. Only non-lobster seafood entree was not available. How can a Maine waterfront restaurant not have Fish? So, we chose beef alternatives. Both the steak and short ribs were fatty and greasy. Couldn’t get them to bring us a serving spoon so we could divide an appetizer. All they could come up with was a soup spoon. Appropriately, they took away our dirty forks after our appetizer course. But, they were not replaced! Only after our main courses were delivered and sitting there, were we able to get them to bring us forks. And one of us was given a salad fork with which to eat beef! This place is highly overrated. There are better alternatives in the Kennebunks. We enjoyed a delicious dinner on a Monday night in October. Not too crowded but still busy for what used to be "off season" in Maine. This was our second visit and the food was superb both times. The gnocchi with winter squashes was especially fantastic. I wish I had a dish of that in front of me right now! 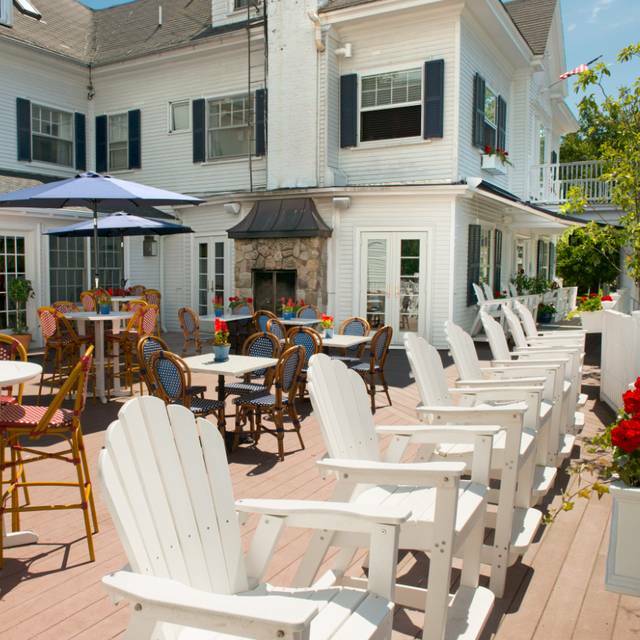 The ambiance is nice year-round, with patio dining in the summer and a cozy dining room and bar that are great for guests staying at the Inn or those coming for dinner or a drink. They have some nice craft cocktails, too. Looking forward to our next visit! Presentation was beautiful. Food was great, arrived a little cool but overall excellent, server was great! Great food. Great service. Not much more to say except, try it for yourself! The food and ambiance were outstanding. I really enjoyed the menu selections , especially the light bites and the salads. 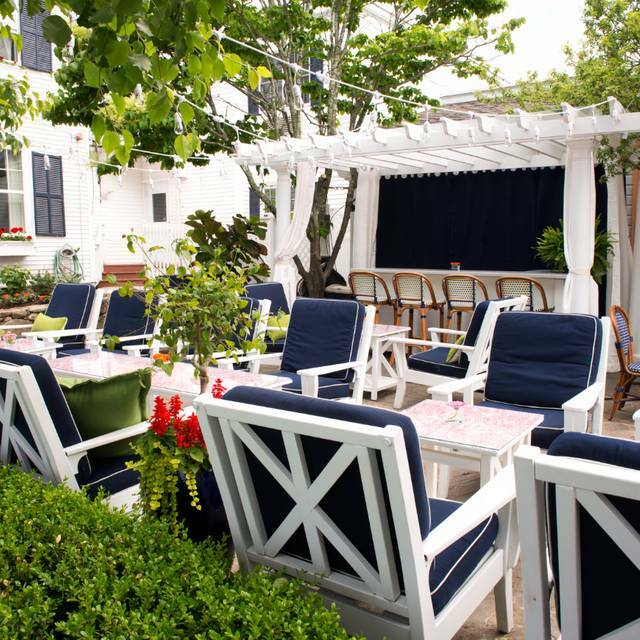 The Kennebunkport Inn is beautiful and the outdoor seating looks inviting although we ate inside in front of the fireplace. The room we were in was very traditional and elegant. We had cocktails and mussels during happy hour. On the porch deck. Food ambiance and service were excellent. Had a 5:15 pm reservation right after. Had the lobster risotto and my wife had the lobster roll which were both full of lobster backs and sumptuous. I have been an Open Table member since its inception and this is the first time I’ve felt motivated to submit a truly negative review. 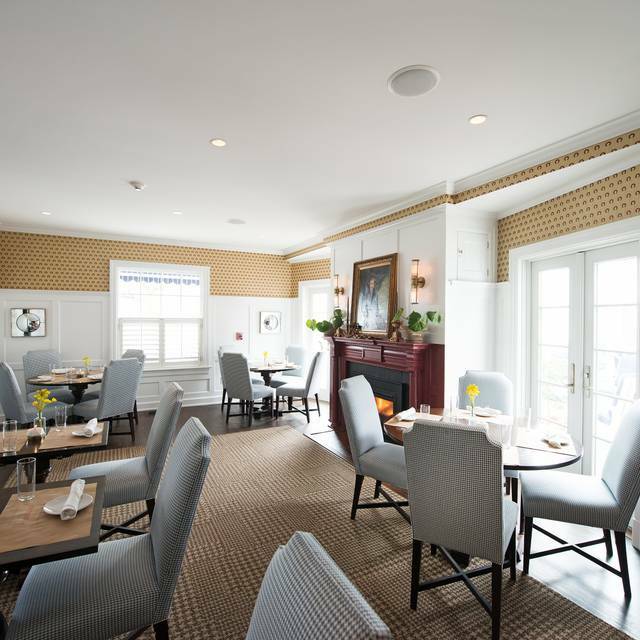 I dined at the The Burleigh with two friends, all professional women in our 50s, on our first night in Kennebunkport. The dining room is lovely and the service was attentive. The fried Brussels sprouts were delicious and my skate wing was perfect. (For some reason, my friend’s was greasy, though she did not complain.) Although we ordered 2 appetizers and 3 entrees, plus wine, and we tipped over 20%, we were treated horribly by the manager on our way out. We were staying at The Boathouse Inn, which is only a football field away. Not knowing a storm was looming, we had strolled to dinner, sans rain gear. Just as we were departing the bistro, the skies opened. We stood at the door discussing options and decided we’d go to the bar for a nightcap to wait for the rain to subside. It was probably 9:45 and there were 4 people sitting at the bar. The manager had been eavesdropping and interrupted stating emphatically, “The bar is closed and it’s going to rain all night.” My friend replied to me, “Well, should we get an Uber?” To which the manager snidely responded, “You have to have an app for that,” as though we were too old or ignorant to know how to use Uber. Offering no solutions, he marched off. So, I cannot recommend The Burleigh. I have never been treated with such callous disregard. We will not be returning and are under no delusions that this manager cares. Fortunately, a lovely local lady, who was on her way out and facing the same predicament, had also heard our conversation. A gentleman had offered to give her a ride home and she asked him to drop us at The Boathouse on the way. So, we did not drown in the downpour or even ruin our clothes. It was such a short trip, we didn’t get their names, but I hope they know how much we appreciated their generous hospitality in assisting 3 strangers in need. Loved The Burleigh. Settled in outside and enjoyed the lobster risotto, beet salad and wontons. Delicious! Great food and service. My only issue was that I was expecting a more elegant ambiance and people were dressed very casual but the food and service were good. We had dinner here last night and absolutely loved our meals. 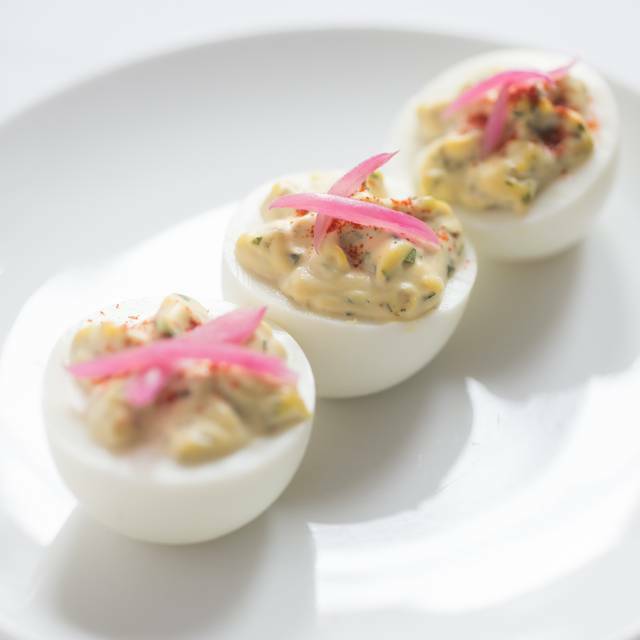 Reasonably priced, great for a date night. The service was excellent, Izaak our waiter was the best waiter we’ve ever had. Will definitely be coming back! Food was seriously lacking. Avoid the lobster rissoto. Outstanding meal created by a great chef. Every course was delicious. The Brussel Sprouts were amazing. My wife loved her short ribs. My pork chop dish was insanely good . The dessert was outstanding. You need to try this menu! We had a great diner with my husband. Great and innovative food. Very good chicken ! Good wine. We loved it! The food was exceptional. The service was warm and great. Can’t wait to go back! Our server Sierra was great, super friendly and attentive. She kept the table neat and maintained the whole dinner. Food was tasty, burger was a little more "well" than medium but tasted like your average burger nonetheless. Mussels, wontons, brussel sprouts, and gnocchi were all super tasty appetizers to share. Limited menu. Sat at table with sun shining in face. No blinds. Food was just ok. Lots of French fries. Dinner plates could have used something other than all those fries. 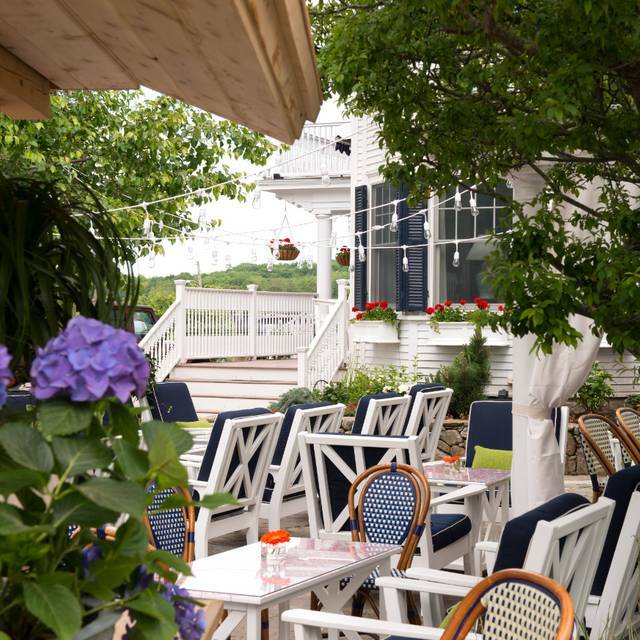 There are much better places to eat in Kennebunkport. We had made a reservation earlier in the day, but the seating options were not great. We ended up being seated to a very large noisy party. So we rate the Hostess as just ok. Waiter was good. He explained the daily menu items and was timely. Chicken was raw, but they adjusted. Overall good. I think we had just some bad luck. It happens. Our food was delicious, the atmosphere delightful.